Our low student-to-teacher ratio and innovative teacher collaboration enables our educators to develop an individualized path for your child to discover his or her full potential. Our teachers are committed to empowering your child to perform at the highest academic standards, while developing his or her critical thinking, personal balance, and adventurousness. This personalized attention ensures your child receives the support they need to become positive contributors in the community, with the confidence to grow into global leaders and initiate connections with others. 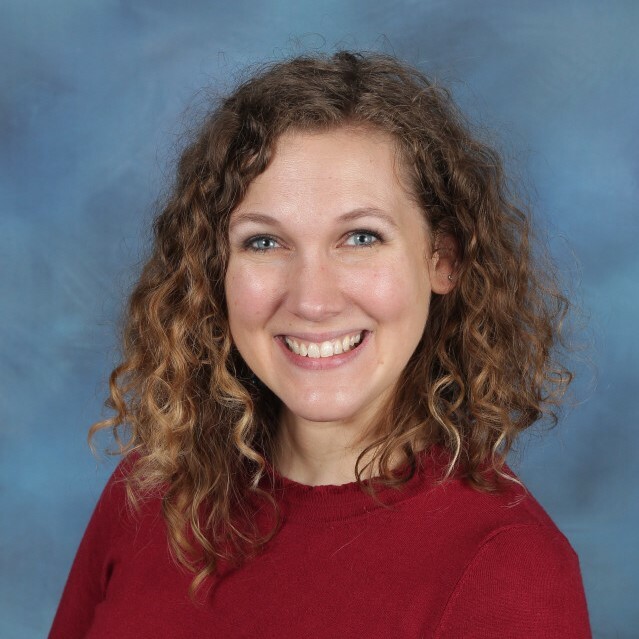 Ms. Emily Hopkins, Principal (English and Spanish Academics, Cycles 3 and 4 Student Life) has been teaching since 2008 and had been at AIS since 2013. She has a bachelor's degree in communication (emphasis in Theater) and a minor in French language. She received her masters in teaching in 2010. Before joining AIS, Emily taught enrichment classes for grades 2-5, computer technology for grades K, 5 and 6 and was a Technology Integrator, helping teachers in PK-6th grade classrooms build technology rich curriculum. At AIS, she has taught PS, MS and CE1 and has co-taught in CE2. Her passion for French language and culture are what led her to move to Austin to work at AIS. She speaks fluent French and spent 2005-2006 in Tarare, France as an English Language Assistant through the Assistant d'Anglais program. Emily is very dedicated to AIS's seamless approach to teaching and learning. She has worked with most AIS faculty in one capacity or another and has taught many current students. She is excited to support both AIS teachers and families in her role as Principal. Ms. Audrey Talarico, Proviseure (French Academics, Cycles 1 and 2 Student Life), has over 15 years of teaching and leadership experience in bilingual environments. After finishing her studies in France, she decided to travel and live abroad. She started her career as a French and English teacher, teaching all grade levels in independent, public, and private school settings. Passionate about new experiences and discovering new cultures and ways of life, Audrey taught in the UK, and in several states in the US (i.e., Minnesota, Florida and Rhode Island). Before joining AIS, Audrey spent nine years working at the French American School of Rhode Island where she started as a teacher and moved up to become Coordinator of the Elementary School and French Program. She then became the Director of the Lower School and was in charge of the well-being and education of 180 students. She enjoys working in collaborative environments and her experience in bilingual education, management, and event planning prepared her well for a leadership role in a multilingual education setting. Audrey holds two master’s degrees, one in consulting and training with a concentration on adult education and management, and the other one in education. Her undergraduate degree focused on sociology, psychology and anthropology. She advocates for students to become lifelong global citizens; and independent and active learners through collaboration, hands-on activities and differentiated instruction.